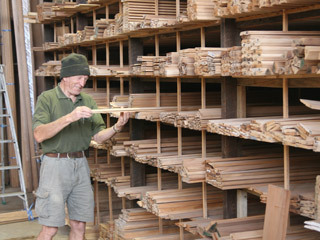 Rickman Mouldings is a leading supplier of pine and rimu mouldings in New Zealand. Along with Kauri Warehouse we have supplied timber and mouldings into some of Auckland’s most recognized buildings such as the Auckland Art Gallery and the Auckland War Memorial Museum. We specialize in colonial and bungalow pine and pacific rimu mouldings and keep an extensive range in stock. See our catalogue for prices, dimensions and 3D images of all our stock items as well as a few examples of some of the custom mouldings we have manufactured in the past. Literally anything is possible, so give us a call today. From its humble beginnings in 1928, Rickman Mouldings has a long history of being a family owned and operated company. 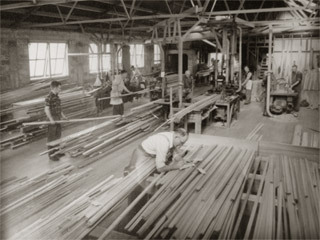 Percy Rickman first started the company in Western Springs, Auckland. Over the years with his sons he grew the business bigger and bigger expanding in size, passing it down from father to son over four generations. In 2007 Kauri Warehouse -- also a multi-generational family run company with a proud history of being the leading supplier of native recycled timbers in New Zealand -- purchased Rickman Mouldings. Kauri Warehouse is continuing the Rickmans Tradition of supplying outstanding quality Pine and Rimu mouldings to Auckland and the rest of New Zealand.